Who is Living Hope Ministries? Living Hope Ministries is a non-profit, non-denominational, 501(c)3 organization whose mission is to proclaim God’s truth as we journey with those who are seeking sexual and relational wholeness through a more intimate relationship with Jesus Christ. We provide free in-person support groups, one-on-one pastoral counseling and mentoring, online support forums, and education and training for the church and community. LHM proclaims a Christ-centered, Biblical world-view of sexual expression rooted in one man and one woman in a committed, monogamous, heterosexual marriage for life. Anything less than this ideal, falls short of God’s best for humanity. We believe ultimate freedom is found through our submission to Christ revealed in God’s Word. We believe the Gospel of Jesus has the power to transform hearts, and a vibrant relationship with Him changes every aspect of our lives. By providing an environment where men and women are given the freedom to grow in the truth of God’s Word, we see restoration and wholeness emerge from confusion and chaos. Living Hope Ministries is a 501(c)3 non-profit organization and is governed by a Board of Directors. In-person, weekly support groups. We have free support groups for young adults, men, women, wives of men who struggle with SSA, and friends and family of those impacted by homosexuality. Each of our groups meet weekly and an intake interview with one of our staff is required to protect the confidentiality and health of the groups. If you are interested in attending a group, please contact us. Online, moderated, private, support forums. We mirror our in-person support with free, online support. Each person must apply and be approved for entrance and forums are anonymous and confidential. Education in the church and community. For over 25 years LHM has been helping people grow in their relationship with Jesus and live in obedience to His revealed will. 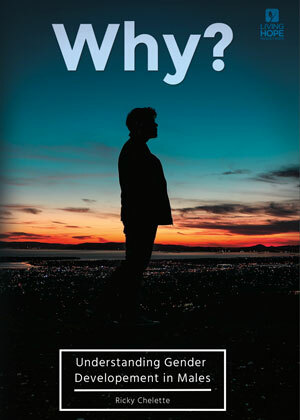 LHM speaks to thousands of people each year about how they, as Christ-followers, might respond redemptively to those who are struggling with same gender attraction. We help churches, small groups, schools and leaders create safe environments for authentic sharing and Biblical community can be formed. We help parents know how they can effectively communicate love, grace and truth to their children while holding to an orthodox, Christian sexual ethic. If we can be of help to you, your family, your church or organization, please feel free to contact us.